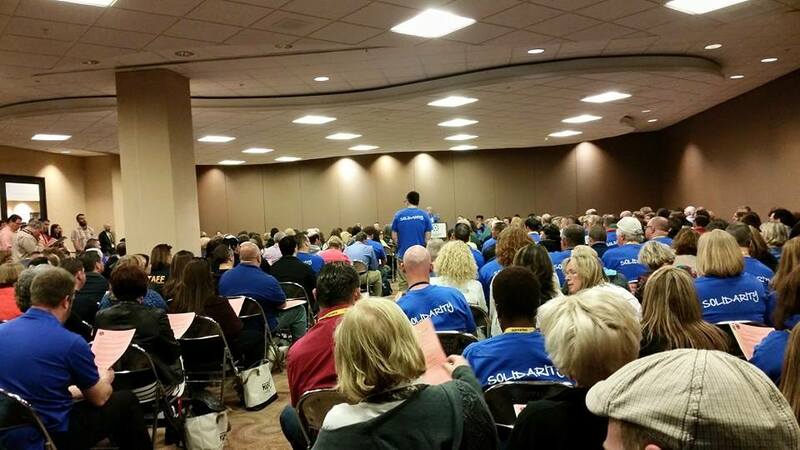 ST Caucus offers a vision for a different NYSUT, specifically a NYSUT that is consistent in its positions across all grade levels and educational issues. From Pre-K through graduate school, we are all under attack. Our schools have been deprofessionalized and the value of our labor has been downgraded; the voices of all P-12 educators, school-related professionals, healthcare professionals, adjuncts and professors need to be heard. We will work to create a vibrant and vital union that will always put the needs of members, educators, students and teachers first. Join with us, for when we act as ONE BIG UNION, we truly are stronger together!